So, when I posted my last review, I decided no more indian mythology read for a while now. 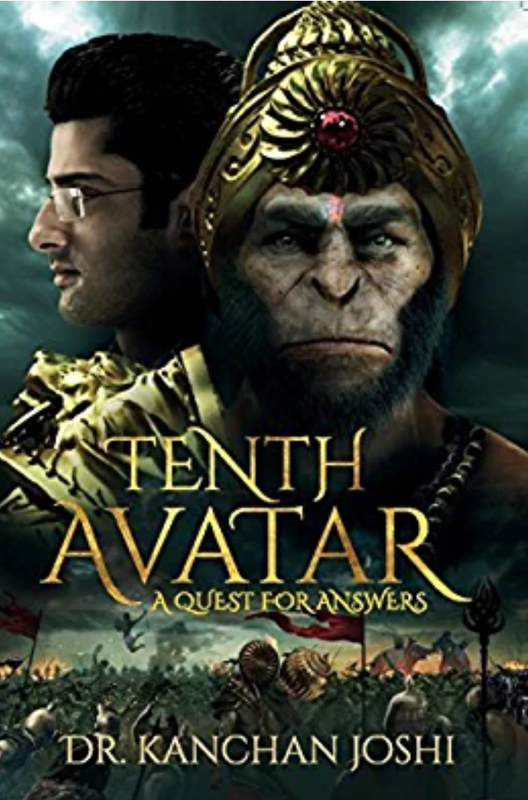 But then, I saw this book by Kanchan Joshi, Tenth Avatar. And then my thoughts changed. And I picked it up for reading. Leaving Gone Girl incomplete, I finished this one in a few days. And it left me craving for more. This is a story with two stories running parrellel to each other. 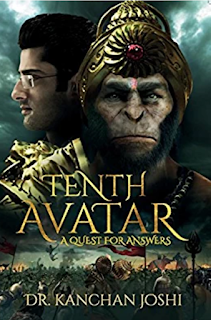 On one side we see the Ramayana from Hanuman's eyes and on the other, protagonist is a hotshot scientist, maths lover who goes to Higgs Boson experiment like it's his daily playground:Krish. Now, physics and maths is nightmare stuff for me but the author here, takes us on altogether different approaches that makes it really interesting to go to. Even the Ramayan bit is portrayed with all possible scientific reasoning, so that you have logical circumstances instead of Hanuman flying off the ocean or uprooting the mountain to heal Lakshman. Present day story keeps you interested but for a while it takes on your nerves when it goes too much into details of the science physics and maths and what not. However I felt there was no need for such long part of Ramayana which goes on for every alternate chapter. It all is deja vu and makes it a wasted opportunity. (Spoiler alert) This track proves only useful when we are almost reaching the end. Overall, this is not the usual retelling remixing of mythology with current day fiction but needs some brain cell churning. If you are ready for that ride, hop on.